As Osteopaths, we look closely at your body’s structure in order to diagnose and treat strains. Over our five years of full time university training, followed by years in practice, we develop a special sense of palpation to feel tensions, pain and strains with great sensitivity and accuracy. In this way, postural strains and even acute injuries can be treated very gently and effectively. We are trained in differential diagnosis, and work with bones, ligaments, muscles, fascia, blood and nerve supply to fully use the body’s innate ability to heal itself. Our seven different treatment approaches encompass thousands of techniques. These allow us to create very specific treatments that we continually adapt as your health improves. At City Osteopaths, we have practitioners with clinical focus in orthodontics, fertility, pregnancy, babies and children. We are trained to provide treatment and exercises for any age and from sedentary workers to sports people. We work alongside doctors, specialists and ACC. Osteopathic treatments involve a gentle, effective hands on treatment following whole body Osteopathic diagnosis. We have Osteopaths who are very skilled in gentle (cranial or biodynamic) osteopathy and osteopaths who are very skilled in structural (more physical) techniques including gentle manipulation. Please let our reception staff know if you have a preference so they can help you book in with the right practitioner for you. Sebastian graduated from the European School of Osteopathy in the U.K. in 2006. Before coming to New Zealand in 2011 to join City Osteopaths, he worked in Liverpool and London advancing his cranial, visceral and pediatric osteopathy skills. He has completed courses in advanced osteopathic technique including Biodynamics phases. He has assisted in teaching Paediatric care to post graduate osteopaths. Prior to studying Osteopathy he graduated with a degree in Theology. 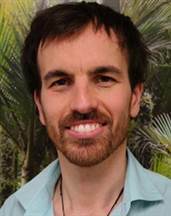 With over twelve years in full time Osteopathic practice, Sebastian has developed a gentle approach, easing back the layers of problems and compensations in his patients in order to reach and change the root cause of their condition whether that originates from stressors in the physical, mental or emotional. Aydan has completed an Integrated Master’s Degree course at the European School of Osteopathy (UK) including a year at the Russian Academy of Osteopathic Medicine. Having previously completed six years medical doctor training, she really appreciates the holistic nature of the osteopathic approach. She has been exposed to a variety of treatment approaches at university, including classical, cranial and visceral osteopathy and has also undertaken a number of postgraduate seminars, notably the Biodynamics of Osteopathy and various courses on the osteopathic perspective and treatment in pregnancy and paediatric osteopathy (including retained primitive reflexes integration). ​Aydan regards osteopathy as a philosophy allowing her to create a positive change in a patient, by facilitating the expression of the inherent wisdom of the body. 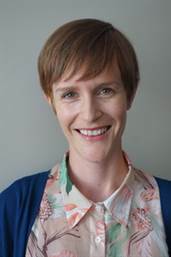 Lara completed the five-year osteopathy programme at Auckland’s Unitec Institute of Technology, graduating with a Master of Osteopathy and a Bachelor’s degree in Human Biology. She is particularly interested in spinal problems, pregnancy, sports, and workplace injuries, and is experienced at treating a wide range of conditions in these areas. Lara tailors her treatment and advice to fit the unique needs and lifestyles of each person, working with her patients to strategise ways to prevent problems from reoccurring. She is passionate about helping her patients get back to doing the things that they love. Lara enjoys an active outdoors lifestyle, especially camping and cycling, and can often be found pottering in her vegetable garden alongside her young son, Jim. Islay was inspired to pursue a career in Osteopathy after experiencing the health benefits of treatment for her neck and back pain. She enjoys helping patients and guiding them to self-manage their complaint alongside osteopathic treatment. She utilises pain education and a variety of osteopathic techniques including structural, to suit each individual patient. ​Susann graduated from the European School of Osteopathy in the UK. The osteopathic philosophy to approach the body as a whole rather than a collection of symptoms has attracted her to this form of manual medicine. In her treatments she likes to explore the cause/s of the problem working with the layers of restriction and compensation that might have built up over time. Susann combines cranial and visceral approaches along with gentle structural techniques. She enjoys treating infants, children and people of all ages and walks of life. Since 2014, Susann has gained experience working with babies and children with a focus on motor development and movement integration. Her particular interest is the treatment of pelvic girdle/floor and women health problems as well as visceral (internal organs) osteopathy. In her free time she can be found doing yoga, beach walking, gardening, travelling and expressing herself through dance. Golfing Injury or want to improve your golf swing? Rhianna was awarded her 1st Class Honours Masters Degree at the European School of Osteopathy in the U.K. After working as an osteopath in Kent in the U.K. for some years, she has decided to settle in Wellington. Rhianna enjoys the holistic nature of Osteopathy and therefore likes to use a variety of treatment approaches tailored to each individual patient. She firmly believes in the body’s natural ability to heal itself and enjoys working with each patient to help them be pain free. As well as the treatment of injuries, Rhianna is also passionate about preventative care and helping patients reach their everyday or health and fitness goals. She has experience in working with patients post surgery, including joint replacement and fractures and uses this rehabilitative knowledge to prescribe specific and appropriate exercises for her patients. Rhianna enjoys a healthy, active outdoors lifestyle with a passion for nutrition and good plant based food. In her spare time she enjoys travelling, pilates, hiking and various water sports. Melanie graduated with high distinction in her clinical exams from the 5 year double degree in Osteopathic Medicine at Melbourne’s RMIT University in 1997. She has been the Director of City Osteopaths since 2000. She has done extensive post graduate Sutherland Cranial Teaching Foundation study in the areas of paediatrics, pregnancy, trauma and the face. 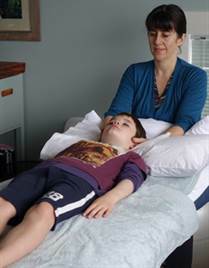 Since 2002, Melanie has completed the Biodynamics of Osteopathy Phases 1-9. With over 35 years experience in dance, Tai Chi and Pilates. She draws on these foundations, combining them with gentle treatment approaches, including functional, cranial & biodynamic osteopathy, to effectively treat a wide range of ages and conditions. She is married with two children and has a clinical focus in providing osteopathy for pregnancy, preparation for labour, babies and children. Melanie also has a passion for working with people undergoing Orthodontics and enjoys treating the Temporo-Mandibular Joint (TMJ) and other mechanical issues of the cranium such as concussion, sinus, tongue problems or ear infections. She loves to help patients fully recover from traumatic injury and move freely again pain-free. Since 2015 she has been researching mild Hyperbaric Oxygen Therapy and the conditions it can be most helpful for. ​What to do for Concussion or Traumatic Brain Injury. All New Zealand Registered Osteopaths, as of October 2016, are forbidden to put patient testimonials on their websites. Therefore we have removed a large number of fully verifiable patient testimonials which gave specific details as to what had helped and why. We feel this is a shame, however this is now the law and we are no longer able to provide this information to you. Most of our referrals are word of mouth so we would really appreciate it that if you are happy with our treatment and your results, please pass the word on to your family, colleagues and friends so we can continue to help a wider circle of people. Thanks. Also, instead of testimonials we now have the clinical research supporting Osteopathy link here.